Enable almost any old and new solution to work together seamlessly, so you can add new capabilities without unexpected disruption, costs and risks. 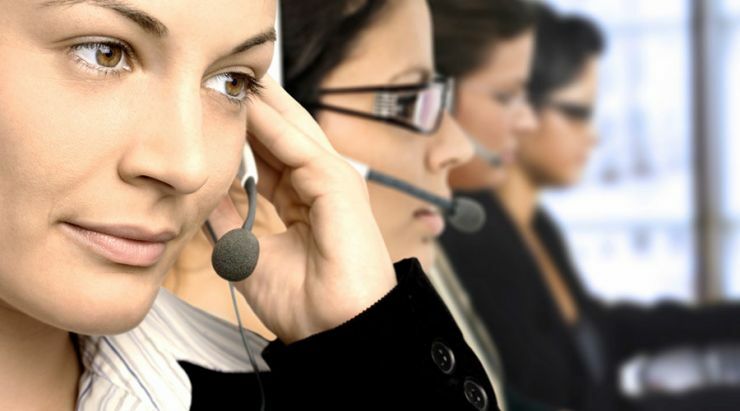 Are you about to carry out a simple contact centre upgrade or a full system refresh? If so, one of the biggest challenges you'll face is getting new technology to work alongside your existing components — and figuring out whether other changes will be needed. Eckoh has the answer. We've developed FlexxBridge, the 'Swiss Army Knife' of telephony integration for the contact centre. As part of our Flexx tools range, FlexxBridge allows almost any old and new solutions to work together. Would You Like Any-to-Any Data Integration? Technology is changing rapidly. Backwards compatibility is not always provided as standard. Sometimes you find that a solution which has served you well for many years just will not talk to the latest, greatest innovation that your business now requires. But Eckoh FlexxBridge bridges the gap. IVR and CTI applications often require sophisticated integration to back-end data sources. FlexxBridge Integration Server software is designed to help simplify this integration effort by providing a consistent SOA-friendly integration point that can be used by multiple IVR, CTI and even web applications. The modular and extensible architecture of FlexxBridge allows it to evolve as the surrounding environment changes. As new applications and integration requirements arise, FlexxBridge integration modules can be added or changed without forcing changes to the applications that rely on them. In addition to providing a consistent integration point, FlexxBridge replaces expensive session-based transaction servers. The solution can integrate to virtually any host or data source that provides API access to the integration point. FlexxBridge can help legacy IVR applications keep pace with an evolving SOA environment. As web services get implemented for back-end systems, FlexxBridge can sit between the new web services and your legacy IVR applications, allowing your older IVR applications to integrate to web services without having to rework the applications themselves. FlexxBridge can also simplify how developers can use pre-recorded prompts in VoiceXML applications. Many VoiceXML platforms do not have the native ability to speak recorded prompts as numbers, dates, times, or money. FlexxBridge provides this functionality natively as well as the ability to play instructional prompts, directed dialog prompts, menu prompts and more in a consistent way across all applications. FlexxBridge also allows application developers to configure prompt definitions easily for each language supported by an application. FlexxBridge can provide a common and consistent back-end integration point for CTI applications. For example, a 'data dip' for a CTI routing decision can be presented as a web service to a new CTI application even though the back-end host integration may be a legacy proprietary API. Customers using FlexxBridge range from demanding Fortune 50 enterprises with high availability (FlexxBridge configurations can process millions of calls a month) to smaller customers with single-appliance deployments serving just one application. The solution has been deployed on Red Hat Enterprise Linux, Sun Solaris, and Windows 2000/2000 Server/2003 Server. While FlexxBridge utilises Apache’s Tomcat as the 'standard' servlet container, it also supports Sun’s J2EE Application Server. A SaaS version, FlexxBridge in the Cloud™ exists for a cloud-based development environment.